The Monthly Planner by Design Letters brings order to the everyday chaos of a family and provides clarity in the office. 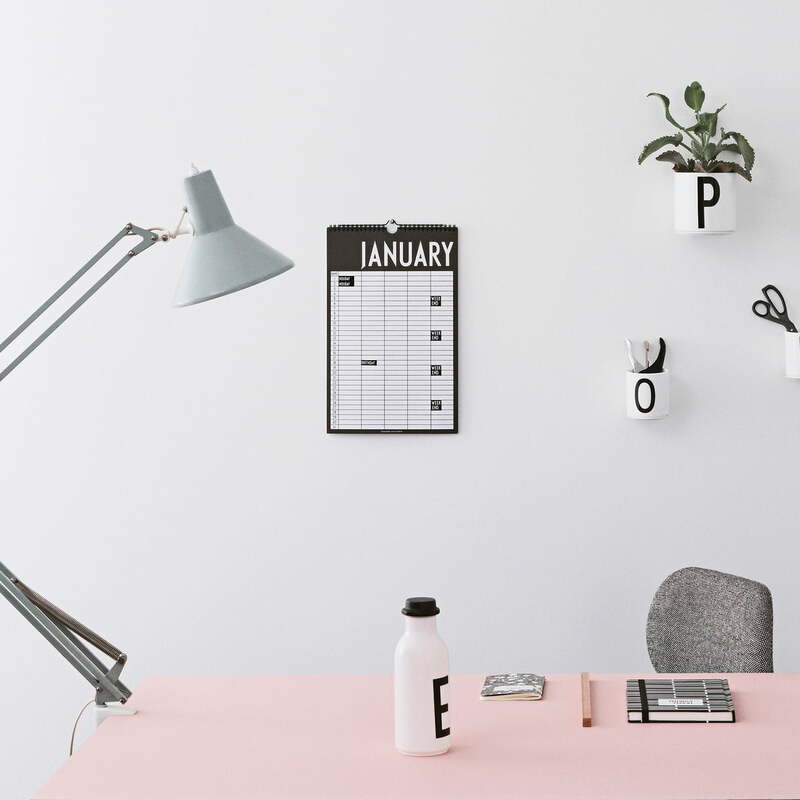 At the same time the calendar is a discreet wall decoration with the popular Arne Jacobsen typography. 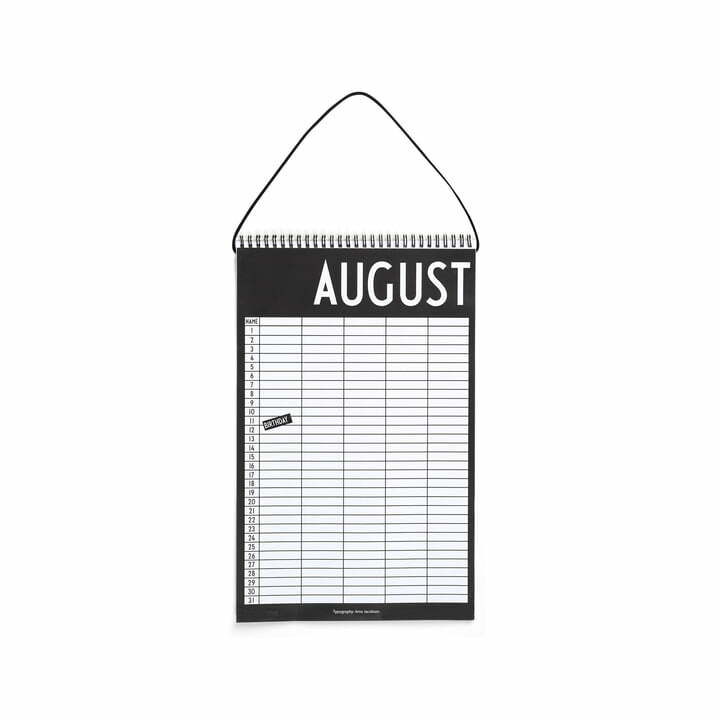 With the help of a nail and the band, the perpetual monthly planner is hung on the wall. In one table appointments for up to 5 people can be noted for every day of the month. Important events like birthdays, meetings, seminars or the summer holiday can be specially marked with the help of stickers. That way all appointments of the month are marked at a glance. The special feature of the planner: it is everlasting, and therefore suitable for every year. The Monthly Planner by Design Letters includes 12 pages for months. With 160g strong paper and a 250g thick back made of cardboard , the Design Letter Planner is a high-quality and customisable organizer in English. Gracias por tu comentario. Sentimos que no sirva para colgar como en la foto. ¿Podrías contactar nuestro servicio al cliente y especificarnos el error para mejorar nuestra descripción del producto, por favor? The Monthly Planner by Design Letters includes 12 month pages. With 160 g strong paper and a 250 g thick back made of cardboard, the Design Letter Planner is a high-quality and customisable organizer in English.